Small and Medium Enterprises (SMEs) are looking for a sustainable and profitable business concept. They use a human resource model according to the situation and establish a democratic system with flexible work, focusing on responsibility and initiative and increasing the self-control of the team´s members. Self-managing teams have been used more and more in recent years in the business environment. They are relatively autonomous work groups whose members share responsibility and leadership to accomplish their independent tasks. Their objective is to develop a type of collective knowledge that requires the pooling of individual knowledge. Their characteristics include independent, autonomous decision making, shared responsibility, and shared leadership. Sometimes, self-managing teams are also responsible for personnel decisions within the team, such as working hours, the selection and contracting of members, dismissal, and even determining salaries. 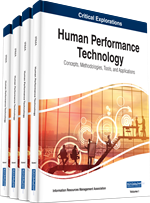 In sum, the authors propose self-managing teams (such as High Performance Practices) as a good human resource management in small and medium enterprises and show how they can help to create organizational effectiveness and competitive advantage in SMEs. Various types of organizations must manage rapidly changing operational contexts. To respond to these demands, organizations should be relying more heavily on team-based work arrangements (Rosen, et. al.2010). Adaptability is crucially important to organizational success due to externally-induced organizational change and those organizations successful at adapting would be most effective in the marketplace (Terreberry, 1968). Through team working, organizations can flexibly adapt and react to turbulent and dynamic environments, and thereby focus their efforts to more efficiently handle subtasks resulting in overall organizational effectiveness (Richter, et. al. 2011). Therefore, organizations increasingly rely on teams to manage the complexity of modern work. So that, teams must be able to react quickly and accurate to the changing environment (Rosen et. al. 2010). Also, economic and technological factors have encouraged employers to adopt flexible work arrangements (FWAs) as a means to respond to the increasing competition, market volatility, economic recession and the changing needs of the workforce (Michie & Sheehan-Quinn, 2001; Stavrou, 2005). The degree and nature of product market competition have heightened considerably. Cost effectiveness and quality have become critical. At the same time, authors identify people time and again as being the key to finding and sustaining a competitive edge (Bacon, et. al 1996). An influential literature emanating from the United States (Beer et al., 1985; Kochan et al., 1986; Fombrun et al., 1984) has identified new approaches to managing human resources. The broad message has been compounded by reflection on Japanese management practices (Schonberger, 1982; Oliver and Wilkinson, 1992; Pascale and Athos, 1982; Trevor, 1988). In Britain, the idea of human resource management (HRM) has come to be accepted as a very important - arguably the most important - area for debate and practice in the whole field of employment management, personnel management and industrial relations as broadly defined (Guest, 1989; Storey, 1992; Storey and Sisson, 1993). We propose self-managing teams (such as high performance practices) in SMEs as the key to compete in the environment given the premises.